Seven Lions is a contemporary American restaurant from proprietor Alpana Singh. Executive chef Chris Curren offers a menu of modern interpretations of clubhouse fare, including lobster Cobb salad, lamb ribs, chicken and duck club sandwich and citrus-braised pork shank. Seven Lions, 130 S. Michigan Ave., Chicago, IL 60603, 312-880-0130. Takito’s Mario Ponce and Anshul Mangal have opened counter-service ramen spot Furious Spoon, with Shin Thompson (Bonsoiree, Kabocha) in the kitchen. Thompson makes the noodles in-house, using a machine he brought back from Japan. Expect a handful of varieties, along with saké and beer. 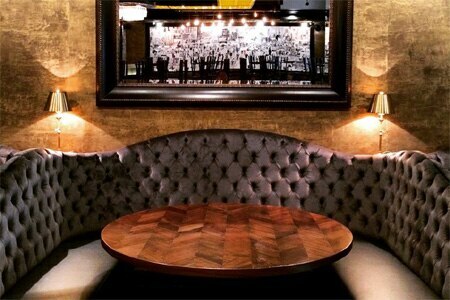 Furious Spoon, 1571 N. Milwaukee Ave., Chicago, IL 60622, 773-687-8445. 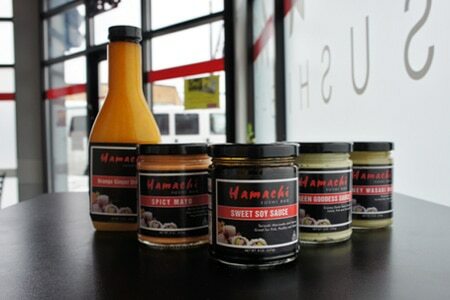 Hamachi Sushi Bar has added two new sauces to its roster: Sweet Soy Sauce and Green Goddess Sauce. They join the line of condiments that includes Spicy Mayo, Honey Wasabi Mayo and Orange Ginger Dressing. The sauces are available at Jewel-Osco on Howard, Kol Tuv and Hungarian Kosher Foods. Hamachi Sushi Bar, 2801 W. Howard St. Chicago, IL 60645 773-293-6904. The seafood-centric restaurant L2O closed its doors after service on December 31, 2014. It has been replaced by Intro, a new concept from Lettuce Entertain You Enterprises. L2O, The Belden Stratford, 2300 N. Lincoln Park W., Chicago, IL 60614, no phone.